An electric brake controller is often installed as an aftermarket part to assist with the braking of a towing vehicle. For lightweight trailers, a brake controller is not necessarily required but it is for trailer with a gross weight of over 1,000 LBS. The best brake controller is the Tekonsha 90195 P3, which is a proportional braking system with configurations for other trailers and a range of features. There are two different types of brake controller, which are time delayed and proportional braking. The controller is installed under the dashboard of the towing vehicle and wired to the trailers brakes. It is activated when the driver brakes in the towing car, which activates the trailer’s electric brakes. Both proportional and time delayed electric brake controller are very similar. They both supply power from the tow vehicle to a trailers electric brakes using the same wiring configuration. They can also allow the driver to adjust the braking power and have switches to manually override the trailer brakes. 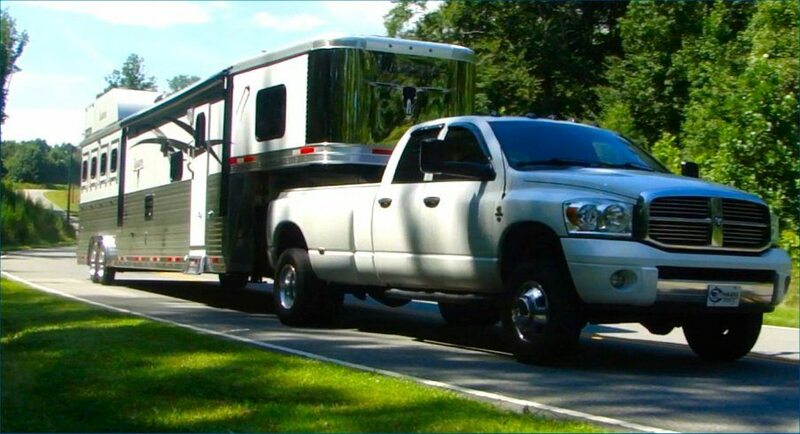 Choosing between the two may be dependent upon the type of load that is on your trailer or your driving style. The proportional trailer braking system is the most popular choice for those that use trailer on a regular basis. Installing an electric brake controller for your trailer is highly recommended for safety purpose and is fairly straightforward to install. Below is a list of the best trailer brake controllers with a mix of both time delayed and proportional examples. The Tekonsha 90195 P3 is the best electronic brake controller for your trailer. In terms of value for money and functionality, no other unit comes close. The back lit LCD screen can be altered to display in different languages (English, Spanish or French) as well as color changes. The P3 by Tekonsha is a proportional braking system with the ability to select between electric over hydraulic or electric trailer brake mode. You can have the ability to control the braking for up to 4 axles that results in complete control for heavy braking. A feature that is very useful is the diagnostics from the brake controller, which will illuminate in bright red when there is a problem. Problem that can be displayed on the screen are anything from the output voltage to no trailer connection. In terms of installing the Tekonsha 90195 P3, it uses an integrated “Plug N Play” port for fast connection as well as an easy release clip to remove the brake controller when not in use. Additional features include a reversing mode, manual override switch at the bottom of the unit, digital G-Sensor, multiple boost levels and much more. The value for the money is impeccable and is the number 1 choice for many drivers that tow in the US. The Reese Towpower is a time delayed brake controller that is smaller and can be mounted in any direction without the of leveling. It has the ability to operate a maximum of 8 brakes that is quite impressive considering its low cost. This unit uses a 12 volt negative ground and provides an internal circuit protection. Mounting brackets are including for the installation but we strongly advise buying the designated wiring harness to make installing it very simple. The setting are easily adjusted for your vehicle with the digital gain and sync to decrease the stopping distance of your towing car. Overall, the Reese Towpower is the best cheap time delayed brake controller that offers a smooth braking response time and time again. CURT 51140 is an affordable proportional brake controller that is almost half the price of the best of the market, which is the Tekonsha 90195 P3. The term TriFlex is in relation to its motion sensor that is a triple axis accelerator. The main benefits of this complex sensor is high sensitivity that results in smooth braking. It is easily calibrated for all towing requirements with 9 levels of sensitivity. CURT brake controls take pride of their easy to install brake controllers and the 51140 TriFlex is no different. Each controller comes with its own plug that simply plugs in with no fuss. There is a small digital display that is adequate for displaying basic settings such as the management of up to 8 brakes at a time. Although the CURT 51140 is very cheap, it still feel very solid and comes with a limited lifetime warranty. The Draw Tite 20191 is a Proportional Electronic Brake Control with diagnostics similar to the Tekonsha 90195 P3 unit when problems occur. Avoid the previous version to this model because the 20191 include the latest “Boost” feature that applies more braking for heavier trailers. Again, this unit is a cheaper proportional brake controller compared to other competitors with a matching limited lifetime warranty. The features and functionality are very similar to the Tekonsha models but in my opinion, the Draw Tite is too compact for my liking (personal preference). In terms of installation, you can simply plug a universal patch cable to connect it straight into your vehicles wiring. The instructions will guide you through the installation in order to set it up correctly to your needs. The Hayes 81760 is a time delayed electric brake controller that comes with a lifetime warranty and made in the US. For vehicles towing single, tandem or tri-axle braking trailers in particular, this will be an affordable electric brake control. This unit can manage up to 3 axles that can be manually overridden via the lever for emergency stopping. It is a time delayed controller and the longer the brake is pressed down, the more current is delivered to the trailer brakes. You can adjust the “power ramp time” to achieve the best possible responsiveness. It is a great alternative to the Reese Towpower time delayed brake controller with both having different features. Many people that are knew to towing will think that simply installing a new tow hitch to their vehicle is enough to get them ready for heavy loads. 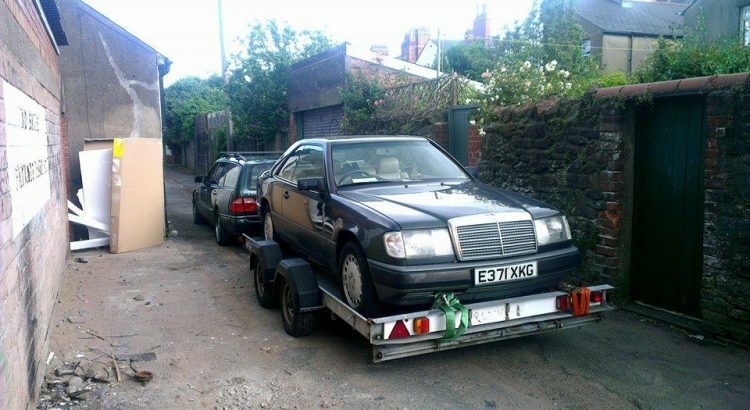 This is simply not the case as there is a lot more to towing. A trailer brake controller is one of those things that can transform your towing experience. There are four important considerations before you buy a brake controller for your trailer, they are the display, accuracy, installation and type. The display is often reflected within the pricing but a large LCD display ensures error messages are easily read and settings are displayed clearly. Signals that your trailer receives as you depress the brake need to be accurate. Unreliable signals can causes the smooth braking to turn into unpredictable stopping that can be very dangerous. The best electric brake controllers shown below are all high quality units but many aren’t. If you experience complication, try resetting the unit and ensuring that the display is in sync with the brakes. To keep costs down, you will want to do the installation yourself and for good reason because the majority of the time it is straight forward. Most brake controllers come with mounting brackets and screws but you should research car specific adapters to connect the controller to the wiring. Finally, you must decide the type of controller that you want to use. That being Proportional or Time Delayed brake controllers. The proportional system replicates the braking of the trailer with the towing vehicle to ensure smooth stopping. Whereas time delayed system sends a signals to the trailers brakes at a predetermined rate of intensity rather than at the same time. Trailers that begin to jackknife out of control can become very dangerous but investing into towing safety equipment will reduce this risk. From brake controllers to weight distribution hitches, it is all equipment you should have when your towing heavy loads. A proportional brake controller senses when the towing vehicle is slowing down and replicates the braking for the trailer. This will be the same no matter the intensity of braking i.e. hard stop or slow stop. The benefits of a proportional brake controller is that emergency braking is much easier and quicker, smoother and less wear on the brake for vehicle and trailer. The trade offs are that it is more expensive to purchase and a slightly more trickier installation. A time delayed brake controller sends a signals to the trailers brakes at a predetermined rate of intensity rather than at the same time. The rate can be adjusted from the towing vehicle braking to the trailer brakes activating depending on the vehicle, conditions and your personal preference. The benefits of a time delayed brake controller is that it is much simpler to install and cheaper but has more wear and tear on both the vehicle and trailer brakes. To install a brake controller, you will most probably need to buy a wiring harness that will plug into your car. If you do not have a towing package in your car, you may need to perform some wiring and splice the wires. If you go down this route, it would be advised to get an digital multi-meter for testing electrical wires. Check To See If The Vehicle Is Pre-Wired. You will need to look under your dashboard and potentially remove some interior panels. Check for wiring with a label that will mention “Electric Brake Controller”. Connect or Splice Wiring Harness. As mentioned, you may have a pre-wired where you connect to the plug to the harness or you will need to splice into the wiring. Screw Controller Under Dashboard. Most controllers will come with brackets and screws. Simple connect the wiring from the vehicle wiring to the controller then place it in an accessible but “out of the way” location. Adjust Settings. Now that it is installed, you can adjust the settings to what you require depending on the weight your are towing or driving conditions. For example, a fifth wheel will need a different setting to a car transporter trailer. Investing into an electric brake controller that will increase your driving safety is definitely a worthwhile investment. It is also your legal responsibility to ensure that your trailer has got brakes for heavy loads. In the US, the law varies from state to state but regardless, it is still a very important piece of equipment for towing large loads. The Tekonsha 90195 P3 is by far the most popular trailer brake controller and is the most rated within this article. I’m so glad you mentioned the additional safety a trailer brake controller can provide! I don’t have much experience driving trailers, and when I go out on long drives I want to make sure I’m as safe as possible. I’ll have to remember this tip next time I get a driving job.